As the most decorated Olympian of all time, it's no surprise that American swimmer Michael Phelps has to swim really quickly in order to score a gold medal and finish in his usual first place. But just how fast is fast? Well, his speed in miles per hours sounds lower than it really is. I say this a lot, but every single day I'm living a dream come true. As a kid, I wanted to do something that no one had ever done before, and I'm enjoying it. Being able to finish how I won is just something very special to me and this is why you are seeing more and more emotion on the medal podium. Already in Rio, he has won a total of four gold medals and will go down in history as the first Olympic swimmer to score that many in a row. 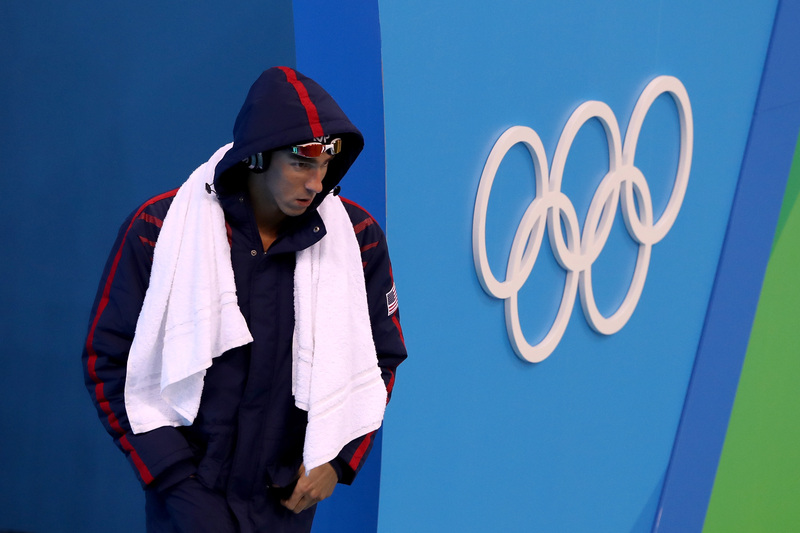 During his latest event — the men's 200-meter individual medley — he finished in under two minutes. To be more specific, he reached the wall at one minute and 54.66 seconds. That's just under two seconds quicker than silver medalist Kosuke Hagino of Japan. But in the sport of swimming, every fraction of a second counts, rendering a two-second-lead a huge margin of victory. On an even bigger scale, the swimmer also holds the world record in a variety of other races including the 100-meter and 200-meter butterfly, and the 400-meter individual medley. As a point of reference, the average swimmer moves in the water at a speed of about 2 miles per hour. That means that by the time you've completed one lap in the pool, Phelps would have probably completed three. So, although 6 miles per hour might not seem very speedy on land, it's a different story when you're in the water.